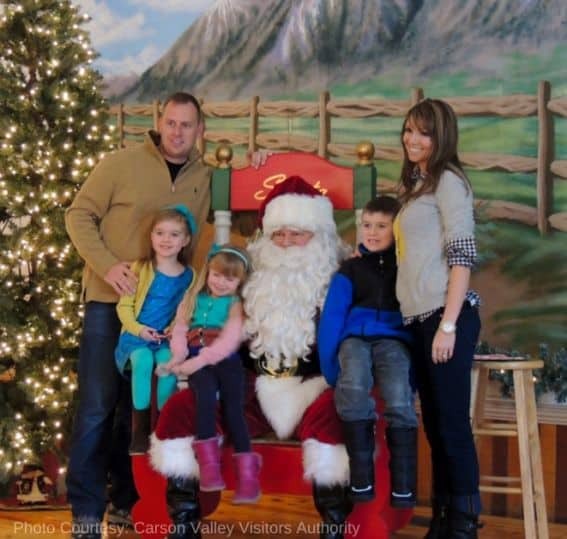 Last November, my family visited Nevada’s capital city at the start of its holiday season and experienced a cozy town alive with lights, holiday cheer, and variety of family-friendly activities. We encountered charming, old-fashioned merchants and gracious locals eager to chat. 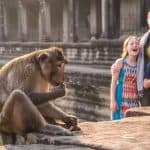 Should you go, taking in the sights of Carson City and the Carson Valley is a relaxing and wholesome family experience. 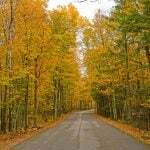 Tip: From South Lake Tahoe, Carson City is a convenient one-hour drive away. Northern Nevada’s down-home feel is sure to leave you jolly and offers plenty for kids to do. To help you discover the best of Carson City and Carson Valley, I’ve listed a few suggestions below. The Silver and Snowflake Festival of Lights is the first Friday in December. Celebrations begin on the steps of the Capitol with the lighting of the state tree in downtown Carson City. Afterwards, enjoy a procession including Santa, Mrs. Claus, and the 300 voices of the Carson City 5th Grade Music Students Singing Ensemble. 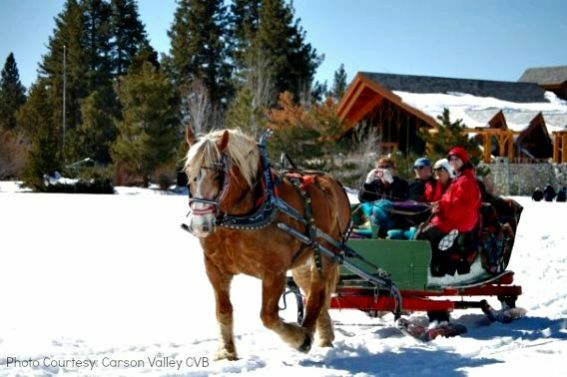 Enjoy free sleigh rides by Borges Sleigh Rides courtesy of the Carson City Chamber of Commerce. The night is brought to a close with ice skating at the Arlington Square Ice Rink where hot dogs, chili dogs, cookies, and hot chocolate will be served. The following Saturday kicks off with holiday skating at the Arlington Square Ice Rink. Santa will be passing out candy canes. Ice skating, a bounce house, cocoa, and a winter art contest make the day a robust event. With the arrival of cool weather and the holiday season, the Arlington Square Ice Rink across from the Carson Nugget offers outdoor ice skating in downtown Carson City. Family skate nights are on Monday and Tuesday, 6-9 p.m. and cost $5 per skater with a skating parent. 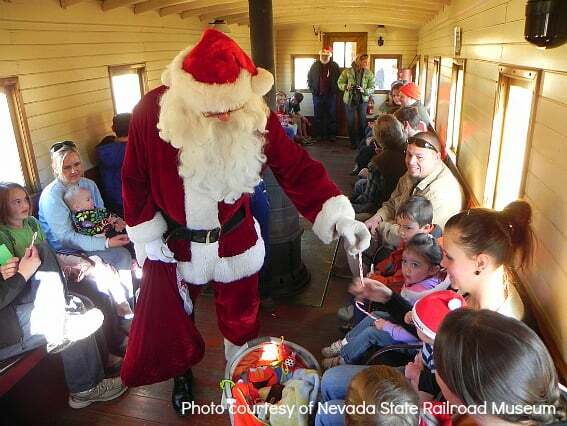 Santa gives out the “first gift of Christmas”—a sleigh bell—to each passenger aboard the Polar Express train historic V&T Railway in Carson City. Remaining tickets are available on the following trains departing to the North Pole December 1st and 8th. The Nevada State Railroad Museum’s steam train pulled by locomotive No. 25 features either a pajama or Santa theme on Dec. 3-4, 10-11, and 17-18st . The museum’s Santa Train departs Carson City’s Wabuska Depot at the corner of Fairview Drive and US 395 from 10 a.m. through 2 p.m. Trains run continuously throughout the day. Tickets are available at the depot. Santa Trains are first come first serve so passengers should arrive early. Visitors are encouraged to enjoy the restored locomotives in the museum’s main building before or after their rides. Read what a few of our readers had to say about Nevada State Railroad Museum. 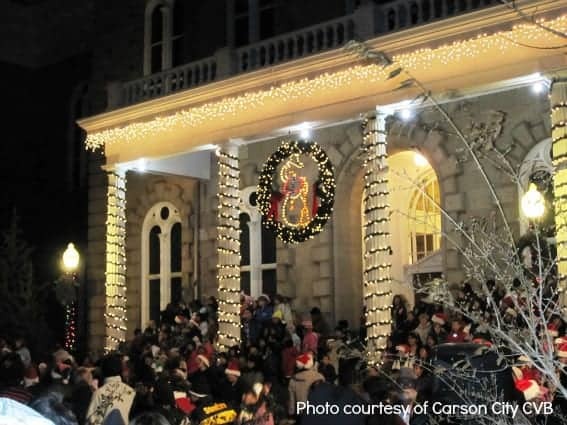 Grab a babysitter and head out for a Winter Wine Walk through historic downtown Carson City from 1 p.m. to 5 p.m. These $15 walks are held the first Saturday of each month. The route features strolls through art galleries, restaurants, and local shops. Tickets include a commemorative wine glass with a map of stops featuring wine and hors d’oeuvres. Wine glasses and maps can be purchased at the Carson Nugget, Cactus Jacks, HorseShoe Club, Carson Jewelry & Loan, or Bella Fiore. The Children’s Museum of Northern Nevada, built in 1939, is located in the historic former Carson City Civic Auditorium. An open floor plan features multiple store fronts and exhibits. There’s also a play structure, a climbing wall, and a floor piano that children can play with their feet; just like in the movie BIG! 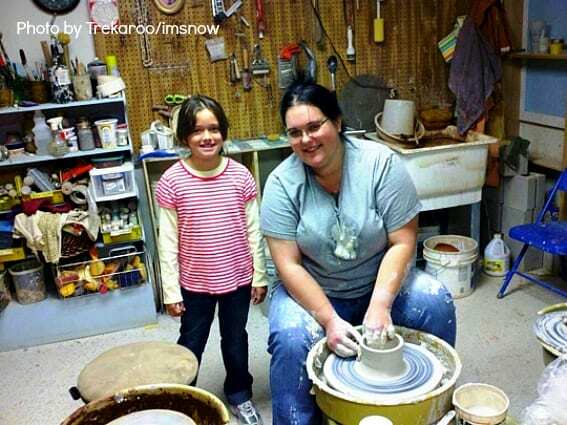 Last year during my visit, we were invited to the basement to observe a ceramic workshop where we witnessed the creation a porcelain bowl on a pottery wheel and the kids were able to touch different types of clay like porcelain, terracotta, and stone wear. 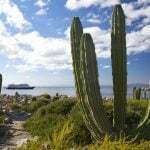 Find out more about kid friendly activities close to Carson City. Candy Cane Lane is a specially constructed drive-by holiday display in Minden, Nevada and is available for nightly viewing outside the Carson Valley Inn, November 30 through December 31. To view Candy Cane Lane, pull into the Carson Valley Inn parking lot at the RV Resort Entrance, between the Carson Valley Market and the Inn’s electronic sign. Lighted arches mark the way and festive music can be heard by dialing your car radio to 89.9 FM. 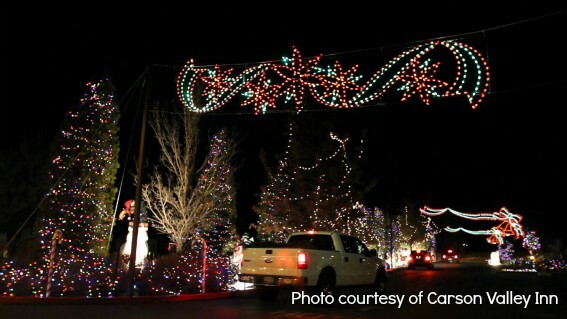 Before Candy Cane Lane, check out the light displays in Heritage Park in the town of Gardnerville and the illumination of the Gazebo in Minden Park and along Esmeralda Street. 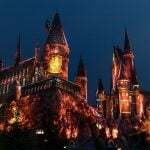 On Dec. 2, hear music by the DHS Jazz Band at 5 p.m. Santa arrives at 6 p.m. to illuminate the Gazebo, play games, and distribute prize bags filled fabulous goodies. Warm up by the fire pits with complimentary cookies, smores, and hot cider. On Dec. 3, the town of Minden comes alive along Esmeralda Avenue for the 21st Annual Parade of Lights. Enjoy live music and light shows at both ends of the parade, in Heritage Park and in downtown Minden. Afterwards, there will be fire pits for s’mores and more musical performances. Guided tours lead visitors through the main level of the Dangberg residence in Minden, where guests learn the family’s secretive and public history and hear how it formed the community we know today. Dislayed personal artifacts connect the stories with the people in ways both funny and tear jerking. Reservations are required. 775-783-9417. Fee: $8 for adults 17 and older, free for children 16 and younger. Tours are usually available Wednesdays through Sundays, year-round. This is a walking tour that lasts about 75 minutes. Get in some serious one-on-one time with the big guy Dec. 3, as kids breakfast with Santa in the Genoa Town Hall. Santa will be visiting throughout the morning during two breakfast options at 8:30 a.m, 9:40 a.m. & 10:50 a.m. Families will feast on pancakes, sausage, orange juice, cocoa, and coffee for $5 per person; children 4 and under are free. For details or to purchase tickets contact the Town of Genoa, (775) 782-8696, or stop by the town offices at 2289 Main St. Enjoy Mary Kaye’s, A Cowboy Christmas, on December 10 from 5:30 to 8:30 p.m. in the Historic Genoa Town Hall. This festive show features original cowboy Christmas and traditional cowboy songs. Tickets are $20. 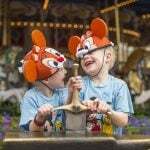 Children’s tickets are $15 (12 years and under). Call for details (775) 782-8696. Christmas Caroling on December 2, at Genoa Community Church at 5:30 p.m. Santa’s visit to follow the Genoa Tree lighting at corner of Nixon St. and Main St., 6:30 p.m. Holiday refreshments will be served. 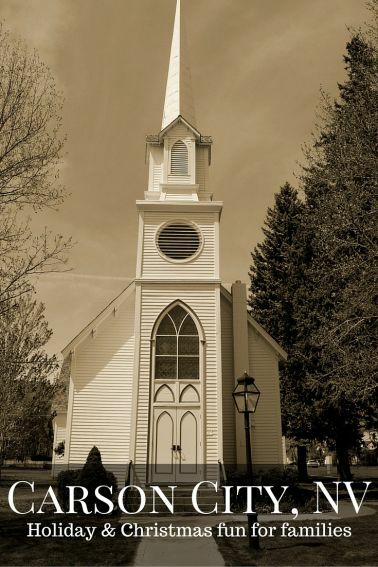 The Genoa Community Church will offer services on Christmas Eve. Activities include caroling, candle lighting, and the Christmas Story.